I was talking with a friend from Nike last night, and our conversation brought me back to the first time I saw those gorgeous copy-heavy Nike print ads aimed at women in the early 90s. Women portrayed as strong female athletes with something to say, for once. This poem was inspired by those storytelling ads and the group of women I’ve been running with for almost 20 years. Running isn’t just running to us. It’s the thread that weaves together our life experiences. Ha! Age will not catch us. This arrived in my Inbox a couple of weeks ago from someone I haven’t seen in many many years. A poem I had forgotten about. And that’s as much of the story as I’m willing to tell. Originally published on MySpace on January 6, 2009. No time to write something new, so I give you a poem I wrote years ago. Originally published on MySpace on December 19, 2008. Here’s a poem that I wrote earlier this year. My Match.com blog reminded me of it. Dedicated to all of you who have ever been dumped! Flying My Geek Flag Proudly! I spend my days writing mostly serious marketing collateral and documentation for high tech companies. 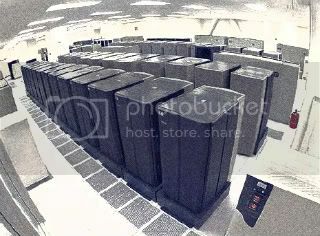 Lately I’ve been writing a lot about High Performance Computing in the modern data center. Don’t know what I’m talking about? That’s okay. I got tired of being so serious and wrote a rap/poem about it. To get the full effect of this “poem,” you need to read it out loud like a rapper, because that’s how it sounds in my head! I fly my geek flag proudly! Got a room full of servers from the ceiling to the floor. Hardware servers all in stacks. Natalie Portman does Gangsta Rap. I just noticed this version has advertising that pops up. I’ll look for a better version with no ads! You are currently browsing the archives for the Poetry and Prose category.